(L-R Brianna, Rachel and Justine) photo credit: Dr. Marsha Campbell-Yeo. The WCC is a global initiative of Western University encouraging young minds from different disciplines to come together to address a global issue and offer solutions to implement in partnership with communities. The WCC frames these issues through the lens of the United Nations Sustainable Development Goals. 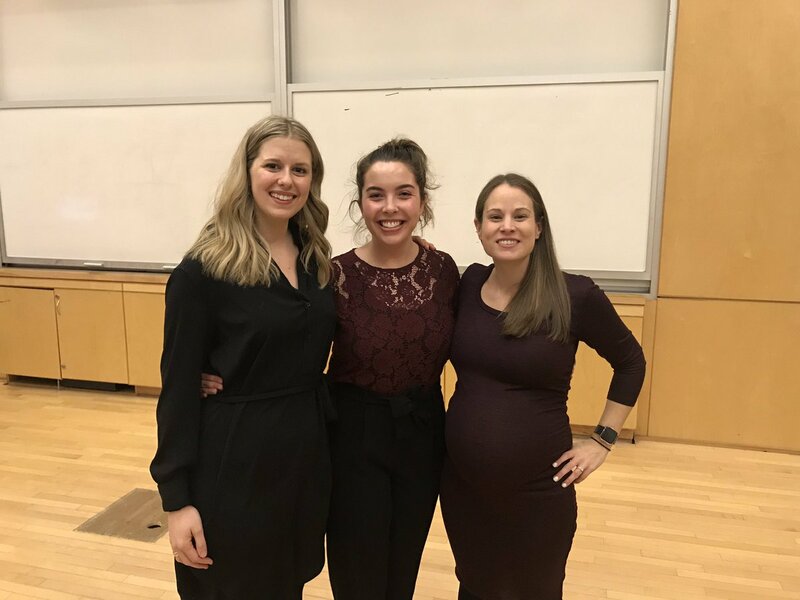 Western University invited Dal and other select Canadian universities, as well as international schools from the US, Hong Kong, Australia and more, to submit a team of three presenters who will try to ‘out-pitch’ each other at the global competition in June. The first place prize is $30,000, which is intended to help development and implementation of the winning solution. Messages will be tailored, piloted, and evaluated in both Tanzania and Canada and will cover newborn and maternal health topics such as breastfeeding and postpartum anxiety and depression. For Tanzanian mothers, Essential Coaching for Every Mother will be focused on reducing infant mortality by supporting mothers in providing the best care for their babies.